View Around the World 2015 on zzlangerhans's travel map. Mei Ling and I originally had a long distance relationship, so when she came to visit me in Miami we would usually fly off to some fun location in the Caribbean or South America for four to seven days. 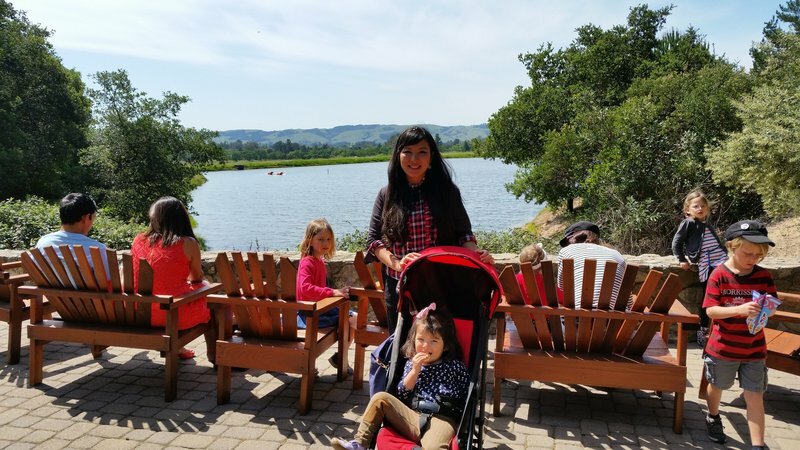 Most of our experiences together involved travel, so once we got married and starting having kids it seemed essential that we continue to enjoy that part of our lives. Aside from holding off on leaving the US with an infant under six months, we haven't let pregnancy or babies hold us back at all. In fact, the frequency and duration of our trips has continued to increase. 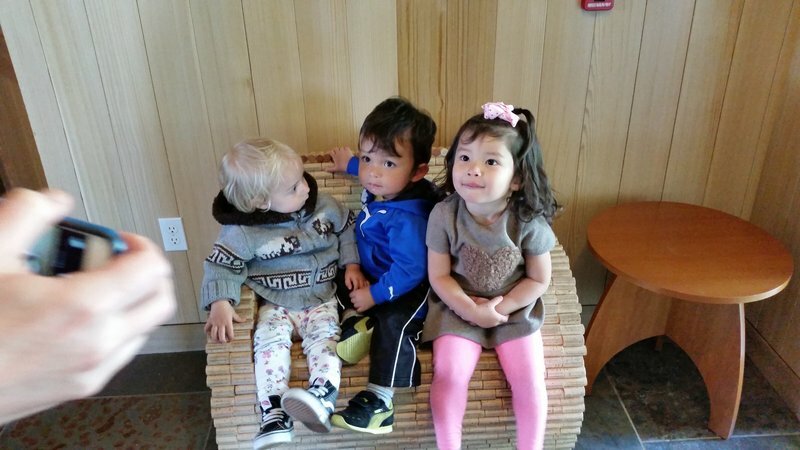 My two year old daughter will have been to nineteen countries and my one year old son to seventeen by the end of this trip. I've only recently been inspired to start blogging after a particularly amazing road trip in Southern Europe last fall. We're currently close to the halfway point of our second round the world trip. The inspiration for these trips is that Mei Ling's family is in China, so we have to travel to the opposite side of the world to see them. 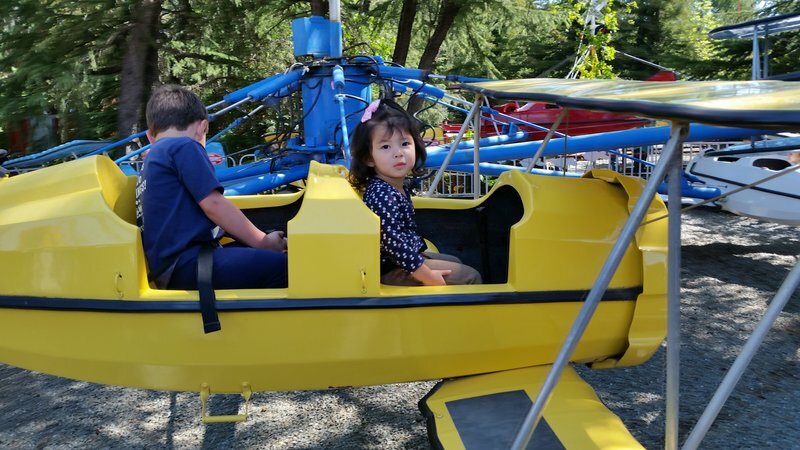 Rather than brutalize ourselves with twenty four hour flight itineraries each way with two babies, we break up the trip with stops on the West Coast, Asia, and Europe. 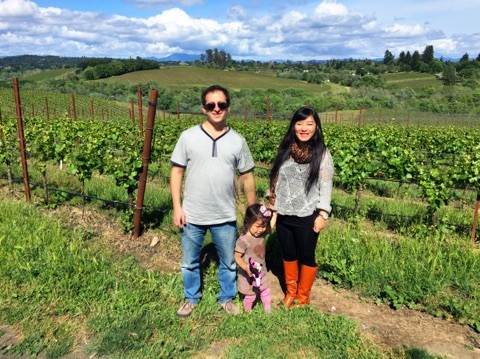 On our first RTW in 2013 we visited London, Tokyo, and San Francisco in addition to Mei Ling's hometown in Heilongjiang, China. This time round our itinerary includes Northern California, Seoul, Mudanjiang (where Mei Ling's family now lives), Guangzhou, Delhi, and the Loire Valley in France. I'm currently writing from Mudanjiang, where there isn't much to see so I have my first downtime of the trip. 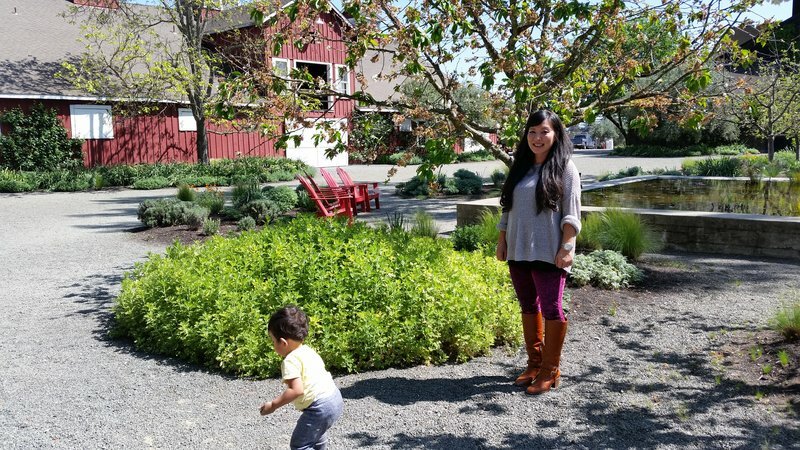 We chose Northern California (specifically the East Bay and Sonoma/Napa valleys) as our first stop mainly because we've already been to San Francisco, Portland, and Seattle. We're running out of places on the West Coast to visit that would be fun with two babies and have direct flights to Asia. There's still LA which I find pretty boring except possibly for good Southeast Asian food. San Diego and Phoenix? Zzzzzzzz. I'll have to do some intense research before our next trip to China otherwise we'll be repeating San Francisco. 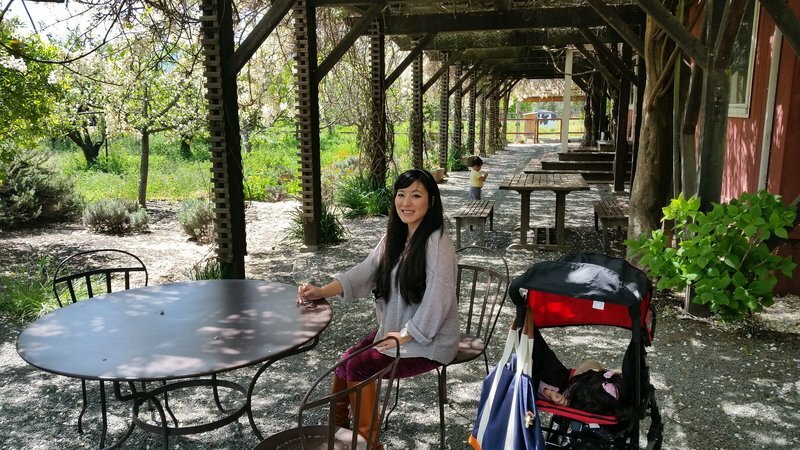 Fortunately we had a great time in Northern California even though we didn't do much wine drinking, due to my driving and Mei Ling's pregnancy. We decided to take a westward course on this trip for two reasons. First, I wanted jetlag to work in our favor by getting us up earlier in the morning rather than making us sleep late. Also, the pregnancy forced us to take the trip in April rather than my preferred months of May or June and I wanted to reach France in May when I expected the weather to be warmer. The only negative was flying against the jet stream which resulted in slightly longer flight times. We had an afternoon departure from Miami, which was good because it allowed us a calm last morning of preparation for the trip (which didn't stop me from forgetting a few important items) but also meant that the kids didn't sleep at all on the flight and that our entire first day of the journey was consumed by travel. The flight was full and the American Airlines plane was typically cramped with the typical sour staff. Combine that with my daughter Cleo's constant restlessness and my son Ian squirming on our laps and the flight felt much longer than six hours. Eventually we landed in San Francisco, where our plan was to catch a taxi to Berkeley. At the airport I impulsively decided to try Uber for the first time and was pleasantly surprised by how easy it was to download and use the app. Our Uber driver was friendly and efficient and got us to Berkeley for about thirty bucks less than a cab would have cost. 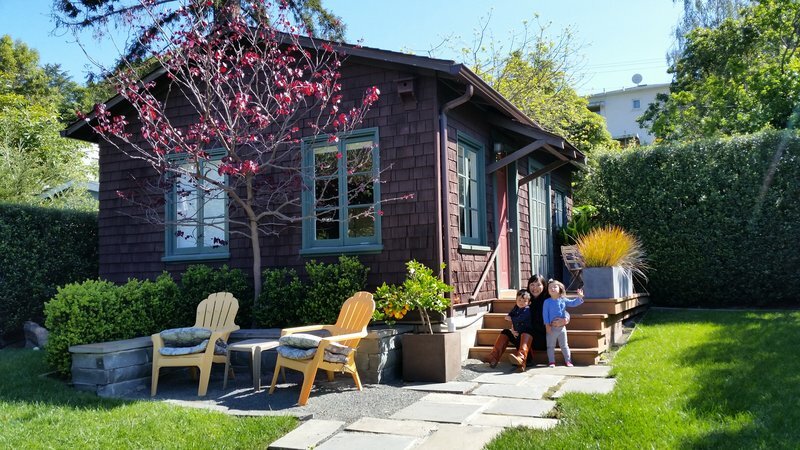 Our Airbnb in Berkeley was a pretty one-room cottage close to the commercial center of town. We just had time to walk downtown and grab a quick dinner before crashing. Berkeley is a wonderful town to spend a day in. 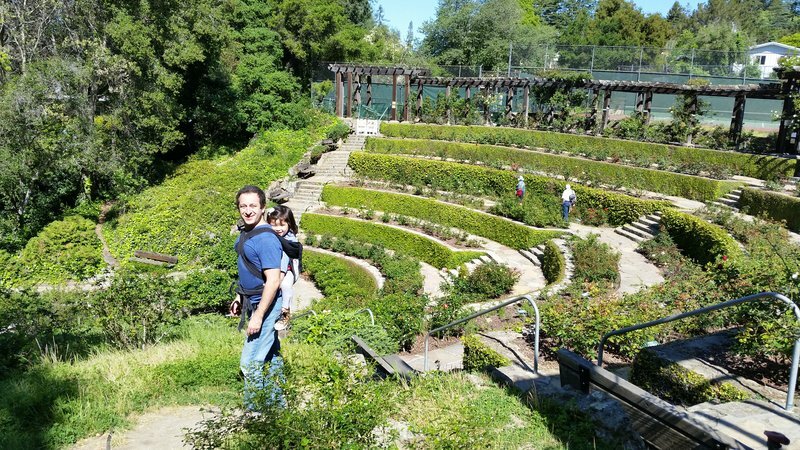 We started out in the Berkeley Rose Garden, where the roses weren't blooming but the terraced gardens reminded me of an overgrown Roman amphitheatre. Across the street in Codornices Park we found lush greenery and a playground that included an enormous concrete slide. At first, I tried to keep Cleo away from it but eventually I gave in and rode down with her on a sheet of cardboard. It's scarier than it looks! Cleo dragged me back to the top another five times before we could finally get her to leave. Next stop was the UC Berkeley campus, which was surrounded by a funky area full of vegetarian cafes, vintage clothing shops, and music stores. The campus lived up to its reputation, with placards announcing various protests virtually everywhere we looked. 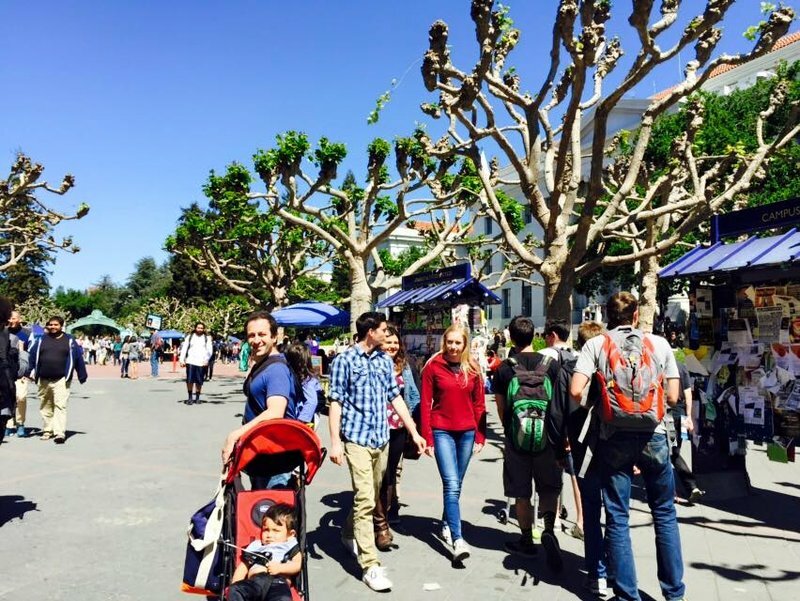 We walked as far as the Campanile Esplanade, which was lined with bizarre-looking London plane trees. We headed back to Shattuck Street, the main drag downtown, where we browsed a small farmers market and stocked up on strawberries. We had lunch at Chez Panisse, one of the best restaurants in Berkeley. 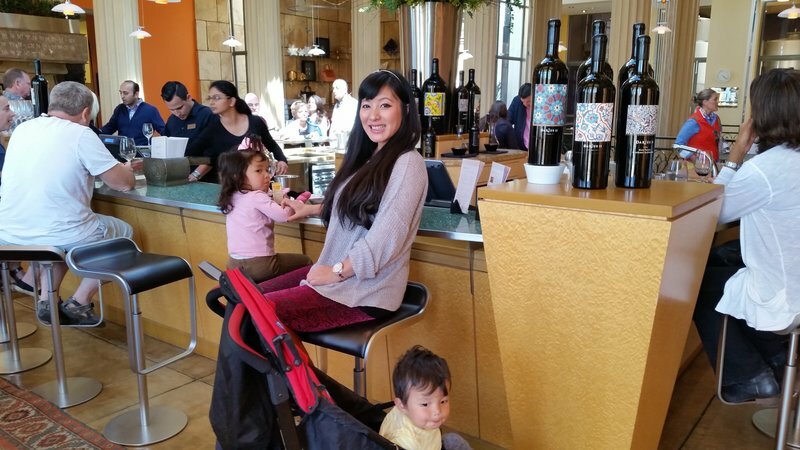 We were a little nervous about bringing the babies into such a high end place, but the staff couldn't have been friendlier and got us a booth where the kids promptly fell asleep. Lunch was amazing and a great way to finish our short stay in Berkeley. 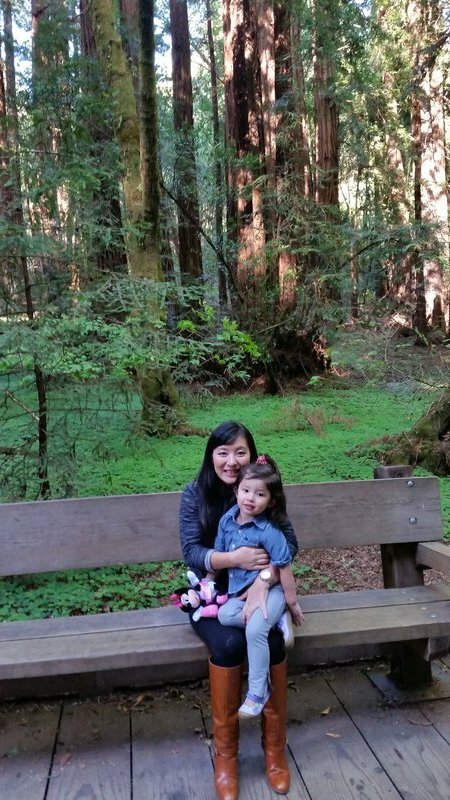 From Berkeley, we detoured to the west to Muir Woods National Park for a walk through the redwoods. The majestic trees are emblematic of the great natural treasures that the western US has in abundance. After a peaceful stroll through the quiet paths and wooden bridges of the forest, we got back on the road to Sonoma. 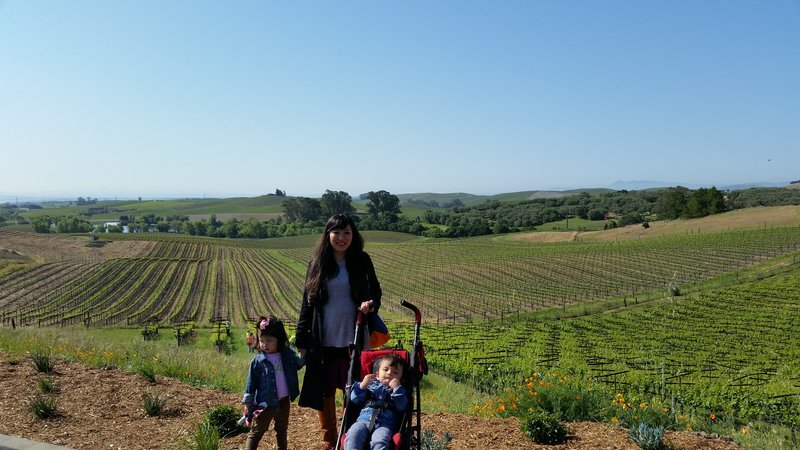 For the next two days in Sonoma and Napa, we devoted ourselves to amazing breakfasts in diners and tastings in beautiful wineries. 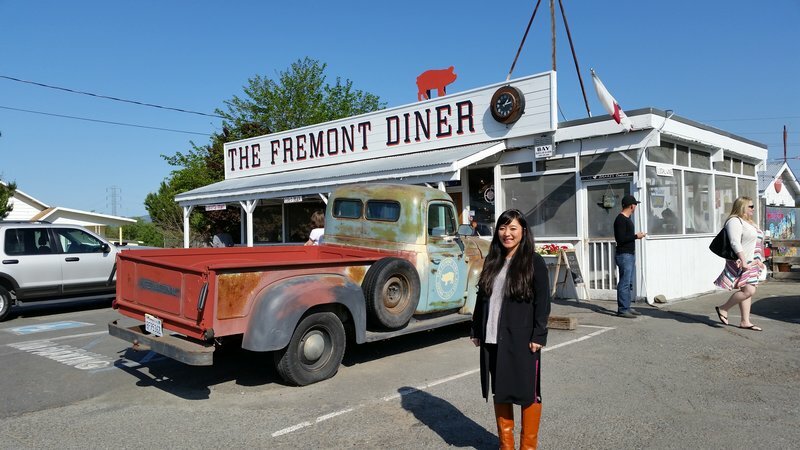 The first morning we had breakfast in the famed Fremont diner and then went to the Hess winery, which had beautiful grounds and its own art gallery. 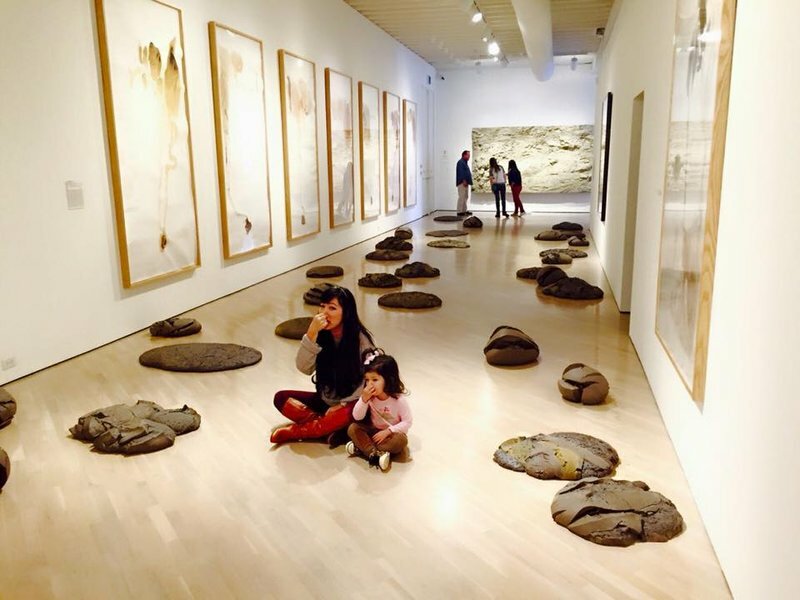 Cleo's favorite installation was a speculative representation of what dinosaur poop probably looked like. 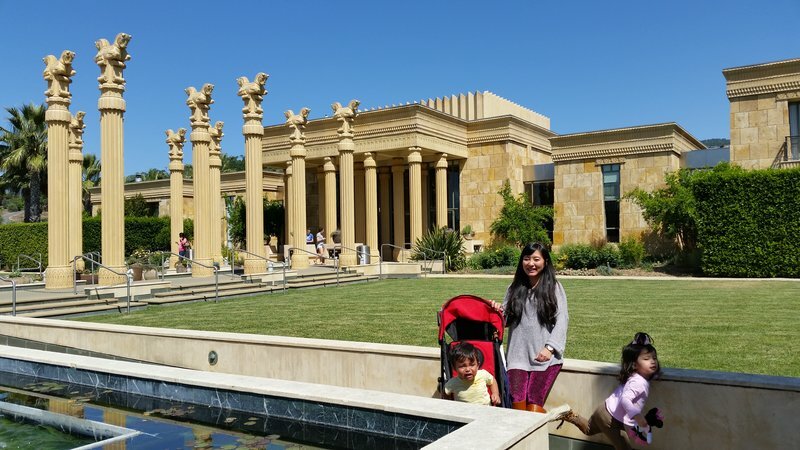 Next up were Darioush, famed for its Persian columns and opulent tasting room, and Frog's Leap, where we tasted wines outdoors under a beautiful trellis. 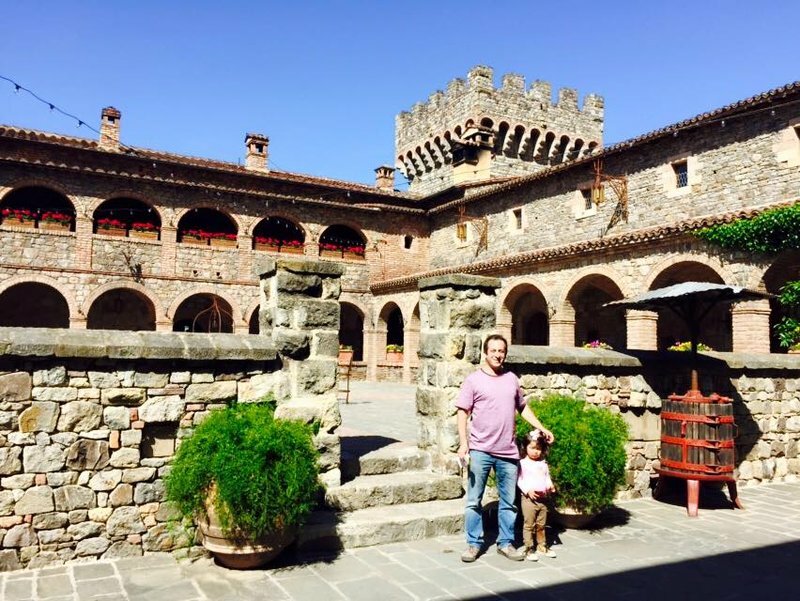 We finished our winery itinerary for the day at Castello di Amorosa, a modern replica of a medieval Tuscan castle. The Castello has 107 rooms and frescoes painted by Italian artists, as well as a dungeon and torture chamber. It's quite an astonishing sight arising out of the California countryside. 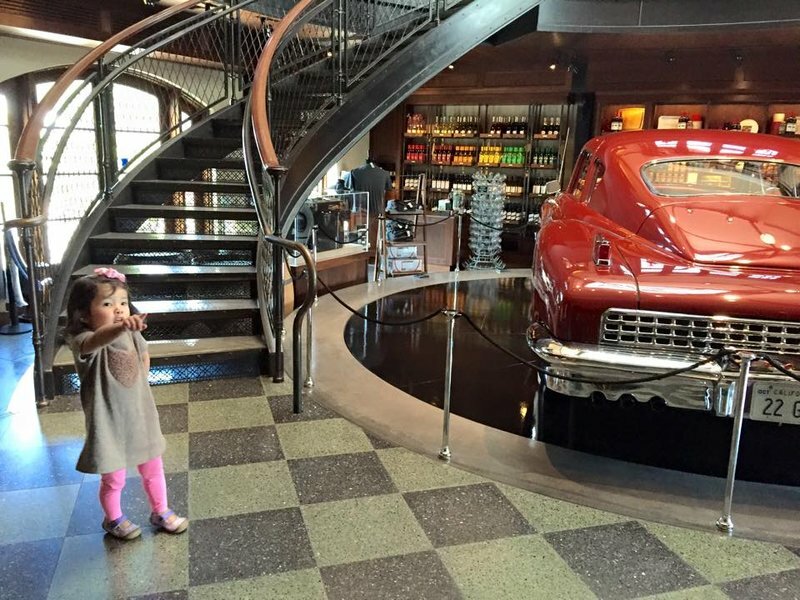 We had dinner at the Oxbow Public Market in Napa, an awesome gourmet food court with a wide variety of restaurants and specialty food stores. 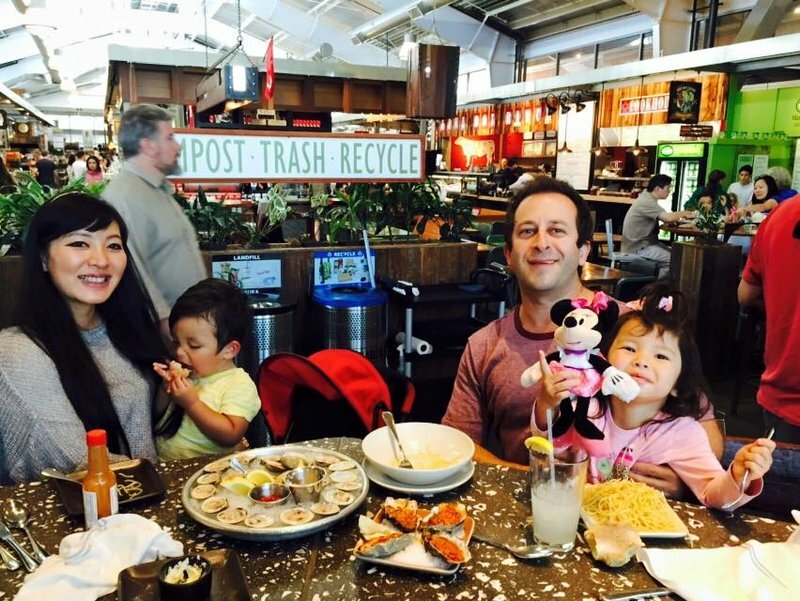 We tasted a few different things and eventually settled down at a raw bar which had pasta for the kids. The next day we met up with my college buddy Mike who practices law in Palo Alto. 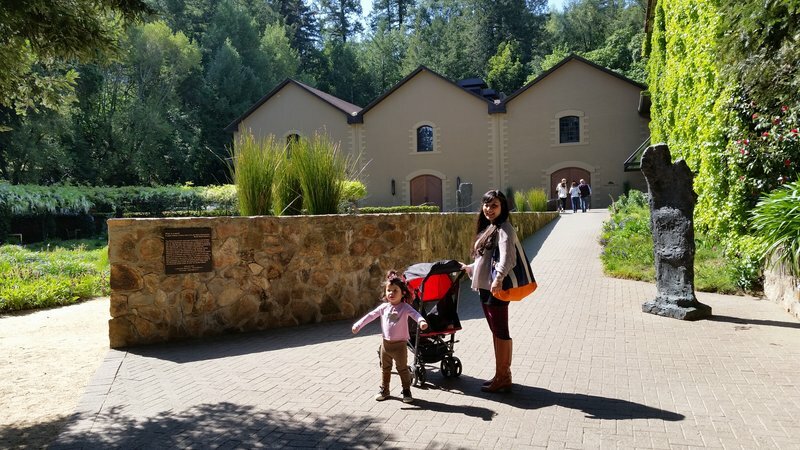 The day was another blur of wineries, the only one whose name I remember being the Coppola winery. 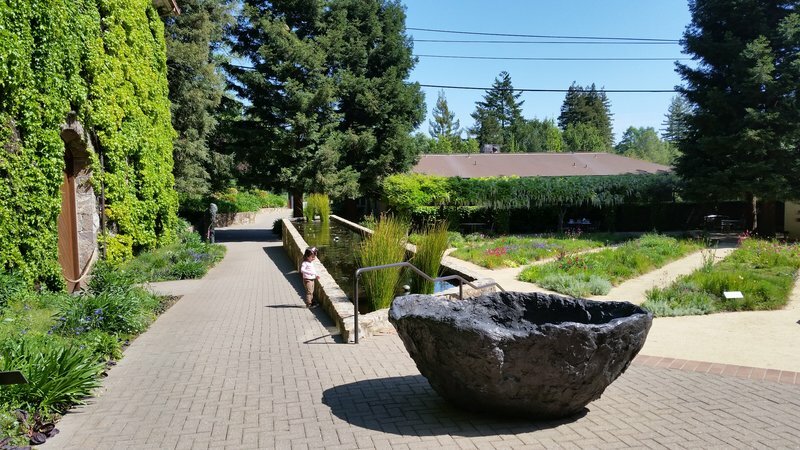 I'll never forget the beautiful scenery and the sleek tasting rooms of Sonoma and Napa. 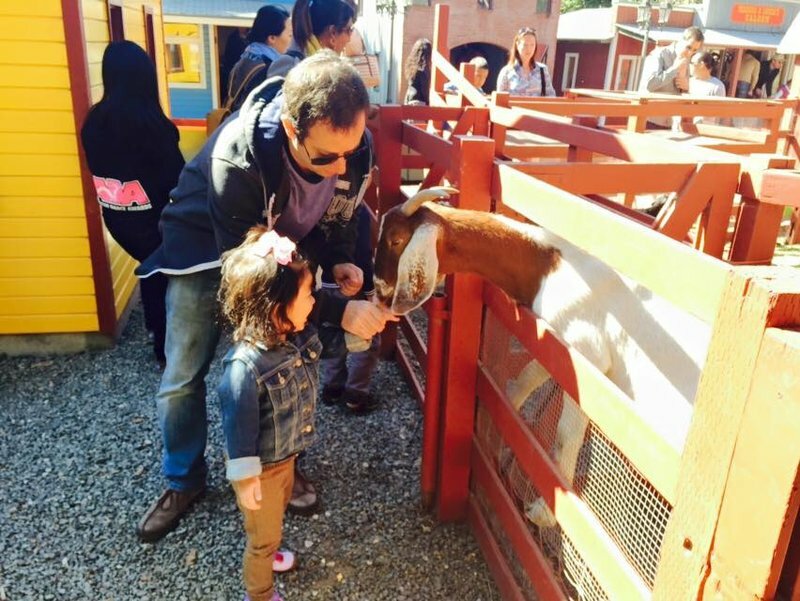 On our last full day in California we took the kids to the Sonoma Traintown Railroad, where they got to enjoy some rides and a petting zoo. Afterwards we drove to the northern reaches of Sonoma Vallley where we had lunch in the quaint town of Healdsburg. We made a last minute decision to spend the night in Oakland but once we arrived we only had a little time to walk around and have dinner. In the morning we went straight to the airport braced for the longest flight of our trip, the Trans-Pacific leg to Seoul.